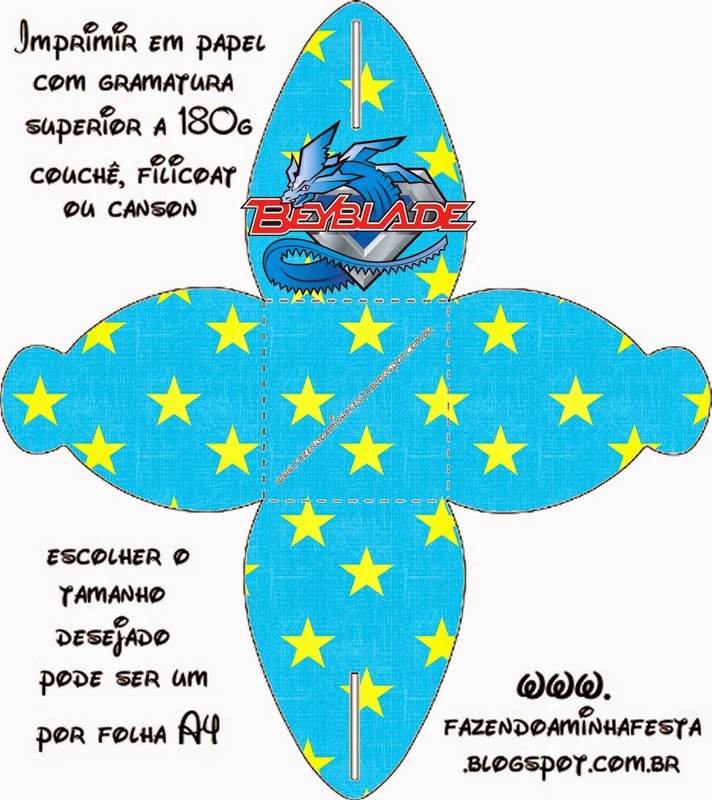 Home Beyblade Birthday boxes free printables party favors party invitations Souvenirs Beyblade: Free Printable Boxes. 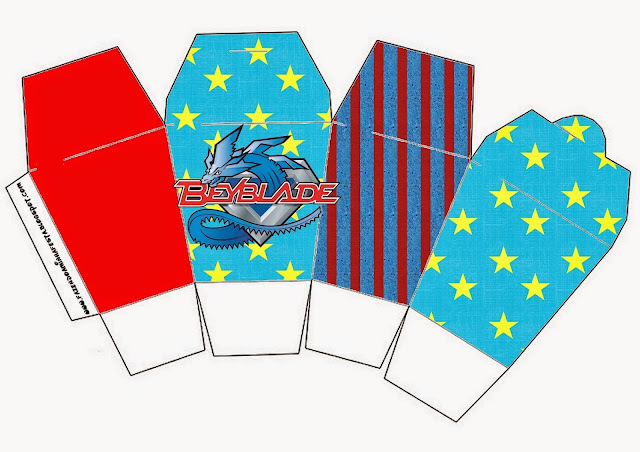 Nice Free Printable Boxes for your Beyblade Party that you just need to personalize, print, cut and fold. 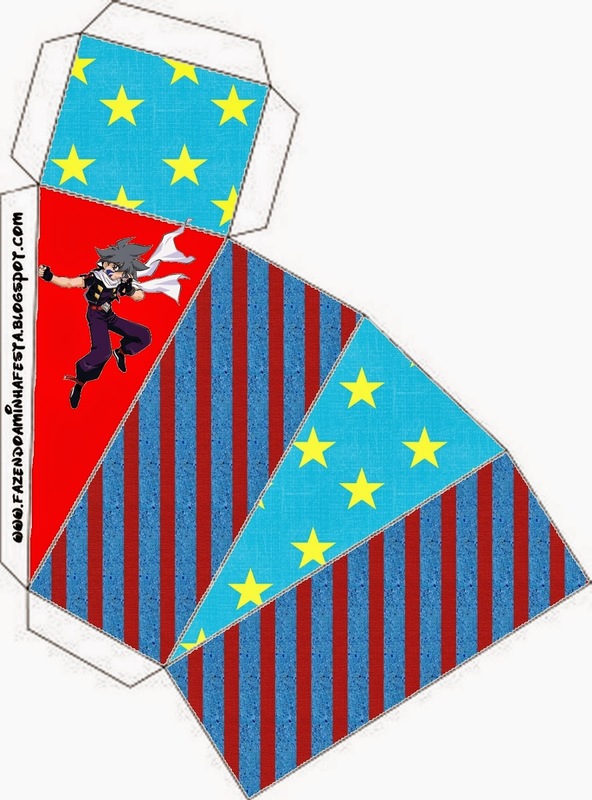 Here you have: French Fries Box, Popcorn Box, Hot Dogs Trials, Cupcakes Boxes, Open Boxes, Heart Shaped Boxes, Pyramid Boxes, Milk Boxes, the Box Invitation and more. 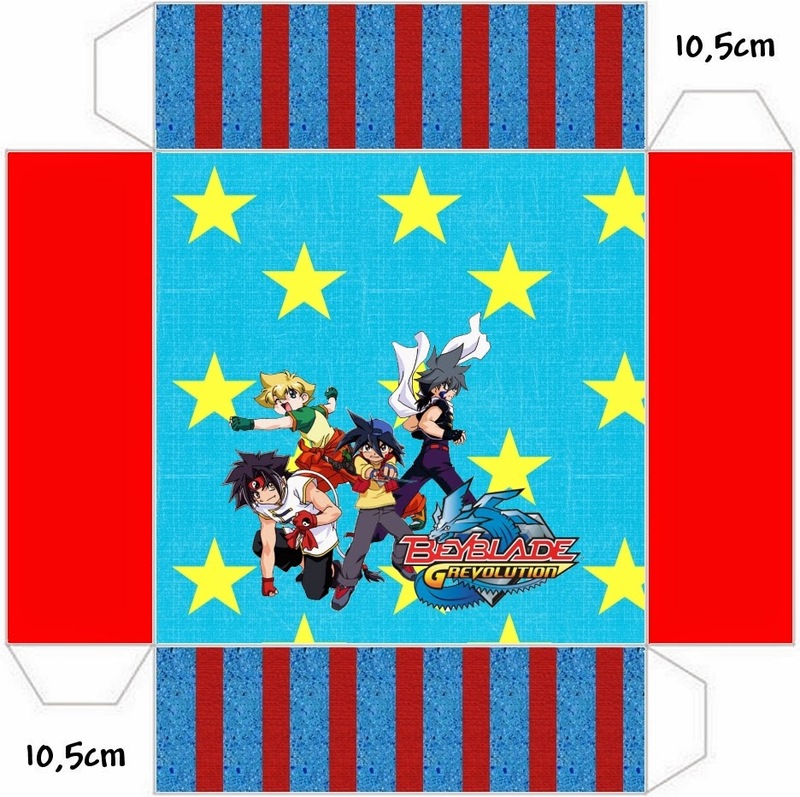 With this boxes you can also simply pack your gifts or to give unique gifts and personalized gifts. 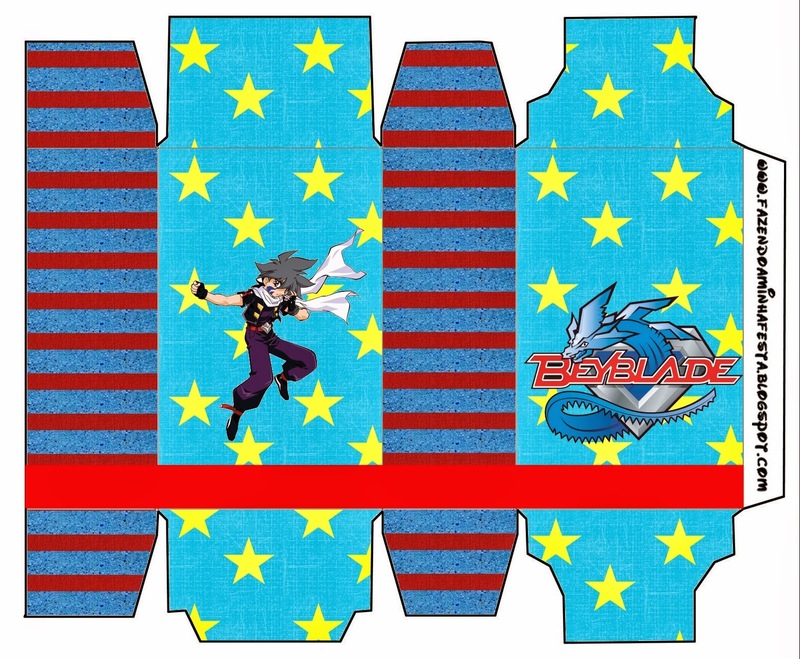 how the boxes will look like once assembled. 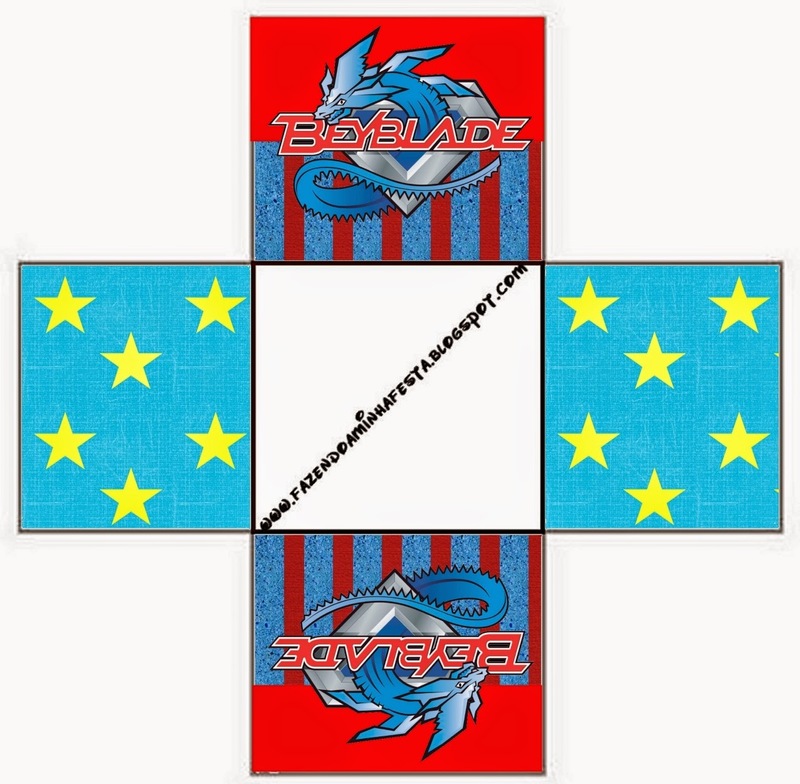 Click here if you want the blank template of this boxes. 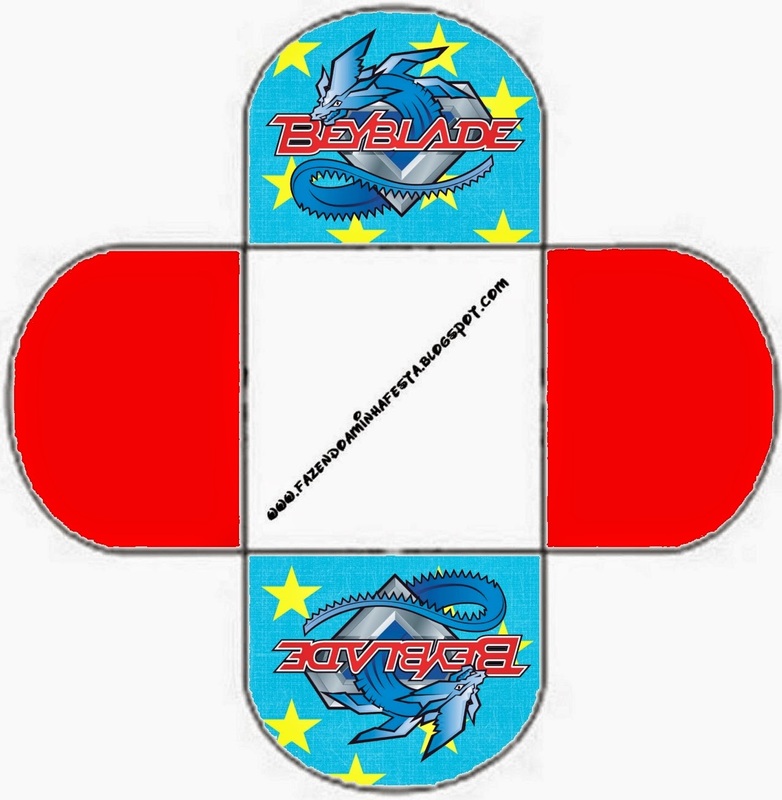 Beyblade You can use this box for chocolates, candies or cupcakes. 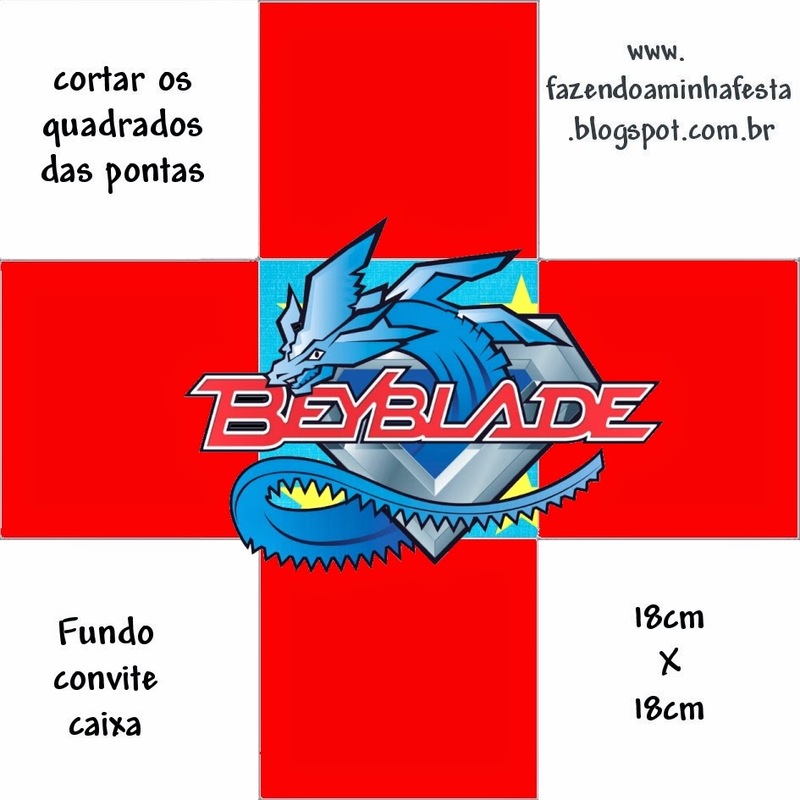 Beyblade This one is for pie box. 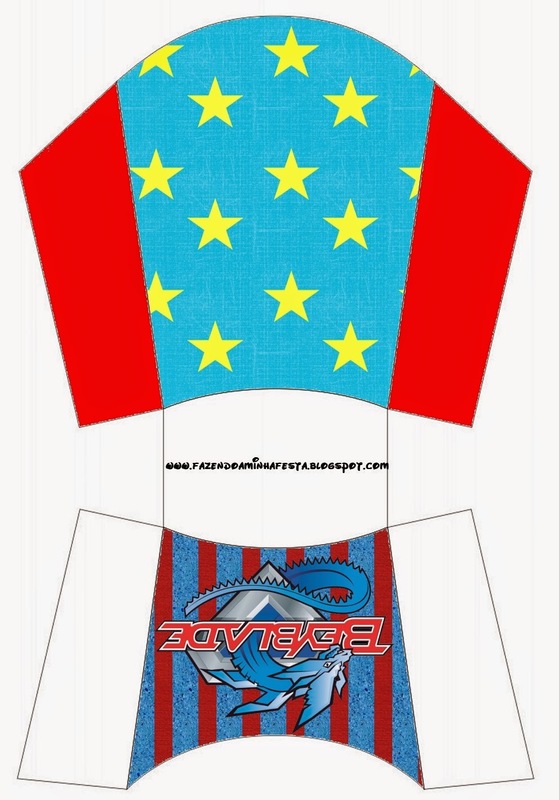 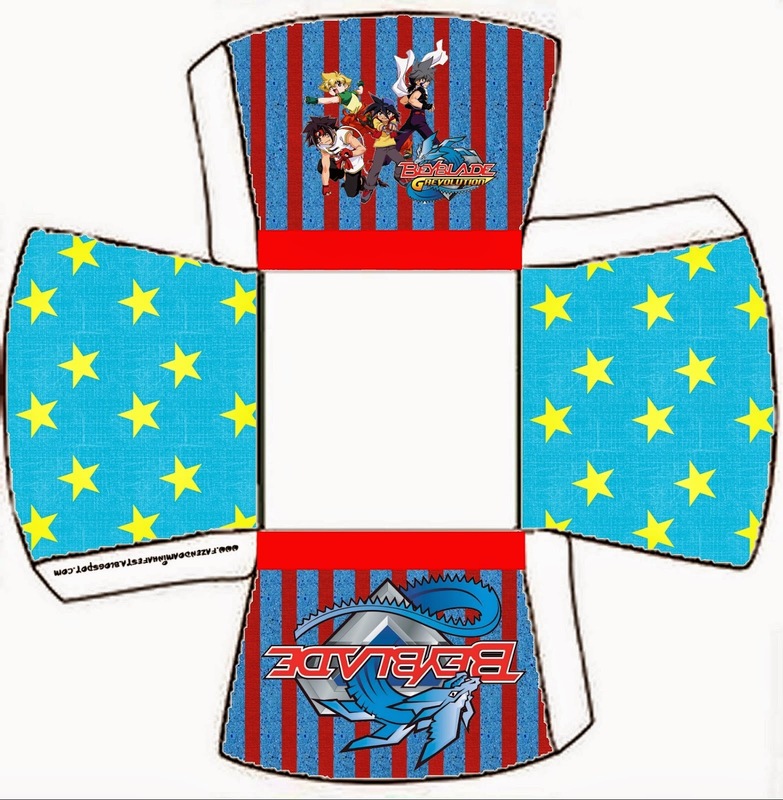 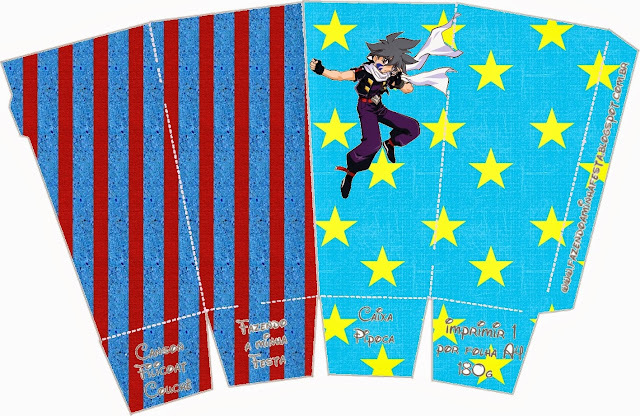 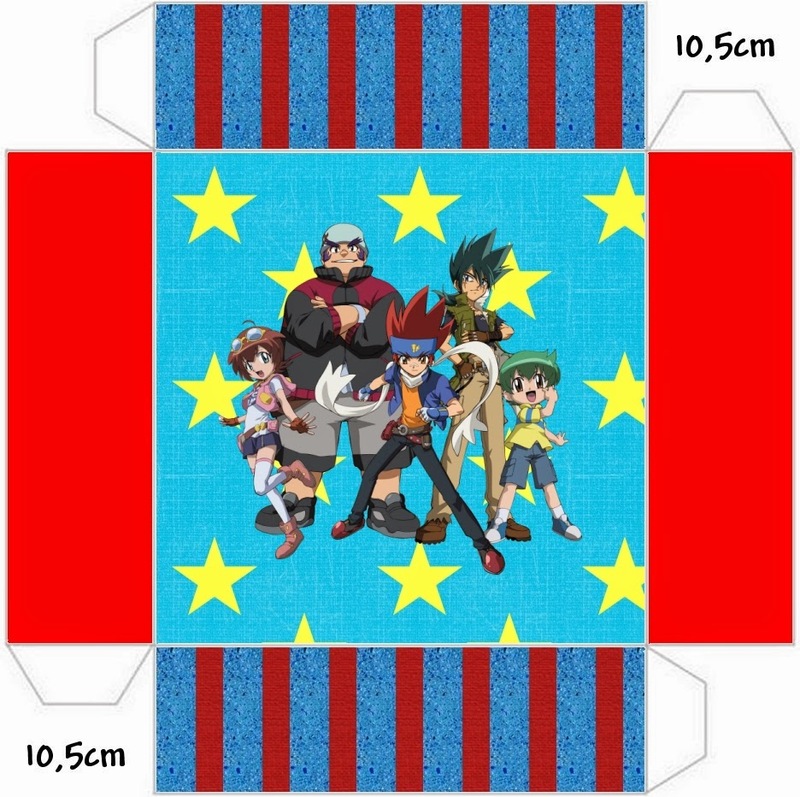 Beyblade Free Printable Pop Corn Box. 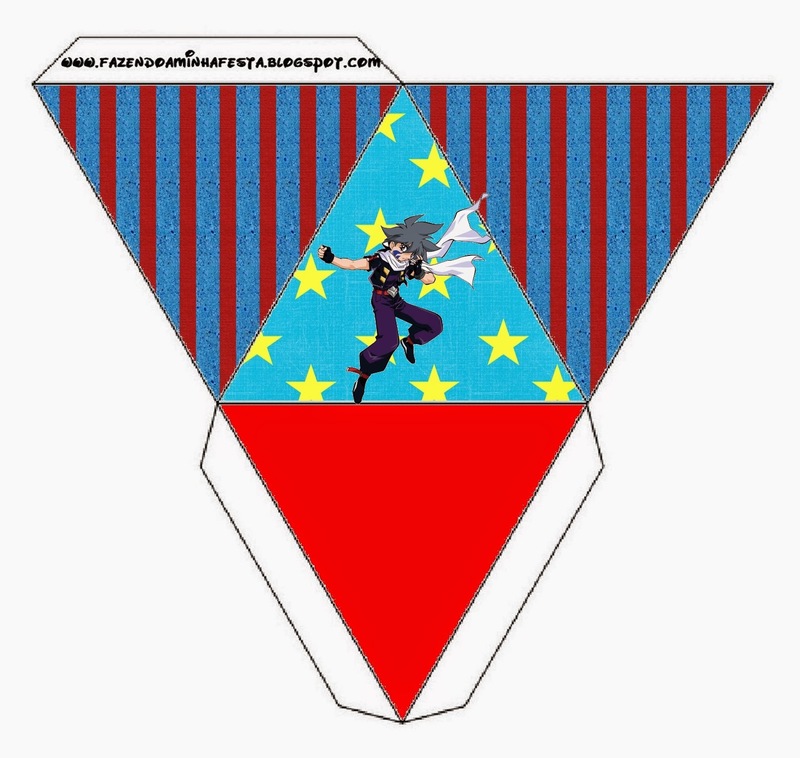 Beyblade Free Printable Pyramid Box. Free Printable Chinese Take Away Box of Beyblade. 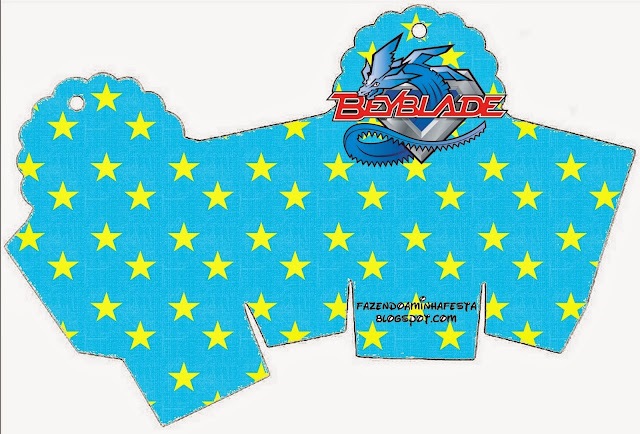 Beyblade Free Printable Fries Box.